During World War II the Armenian Dashnak leaders including Mikoyan “had sided with both powers for the sake of the “Great Armenia” idea. On the one hand, they believed in Hitler’s victory in the Transcaucasus and offered him the establishment of 2 states – the Armenian and Georgian states here. In this way they wanted to annex the lands of Azerbaijan. But on the other hand, if the victory will be on the Soviet Union side, they made a plan to annex Turkey’s Kars province and adjacent areas to Armenia. In both cases they attempted to deport Azerbaijanis from Transcaucasia to Central Asia and Siberia. After the World War II, especially during the “cold war” era, Moscow paid a special attention to immigration of representatives of various ethnicities into the country, using this for the propaganda of the alleged superiority of the socialist system. 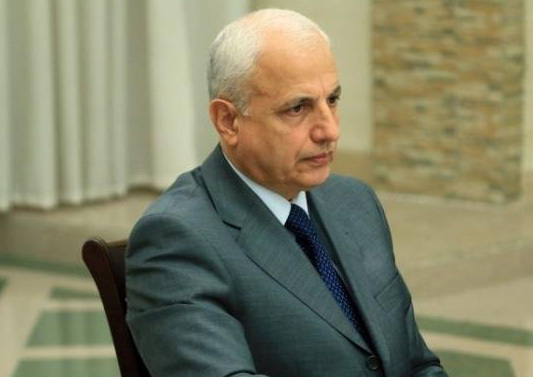 Falsification of the history, distortion of the historical facts and turning Armenia into a mono-ethnic state by changing the toponyms in the historical Azerbaijani lands are part of the aggressive policy of Armenia. 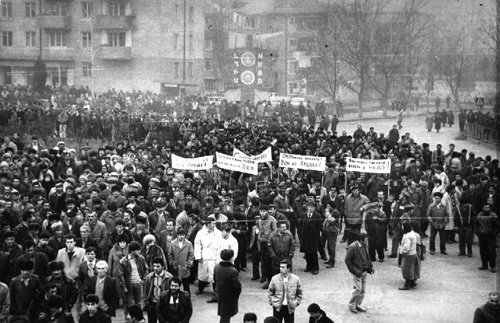 250 thousand Azerbaijanis who lived in the territory of Armenia through the time of history, were all deported to their native lands and took shelter in Azerbaijan as the result of the last ethnical cleansing, carried out by Armenians in 1988-1992s. 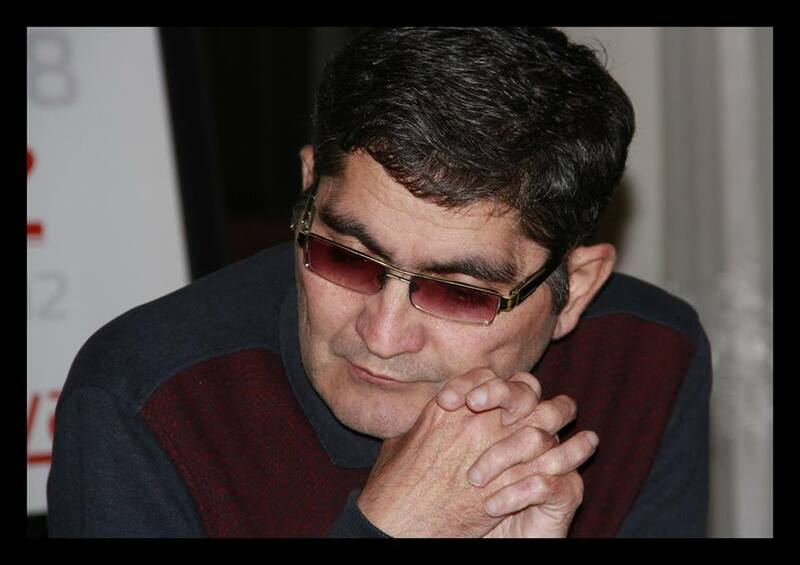 At the same time 50 thousand Meskheti Turks, exiled from the Central Asia in 1990s, took shelter in Azerbaijan. The plan of forced deportation of Azerbaijanis from 126 settlements in Daghlig Garabagh which formed an integral part of Azerbaijan, was carried out since 1988. One of the most tragic acts was committed exactly during that period. 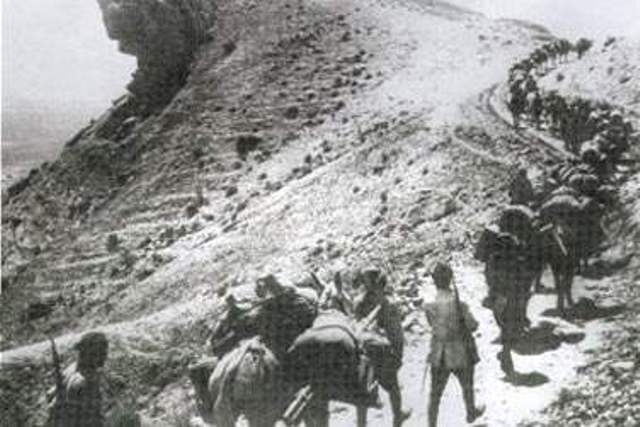 The town of Khodjali with the population of 7,000 in Daghlig Garabagh, was razed to the ground by Armenian military forces with the support of Soviet troops. 613 peace residents were killed with special barbarism and cruelty, 150 people are reported missed. 1,000 peaceful residents became invalids of various categories, 1,275 persons – elderly persons, women, children were taken hostages and subjected to awful humiliation, oppression and torture. 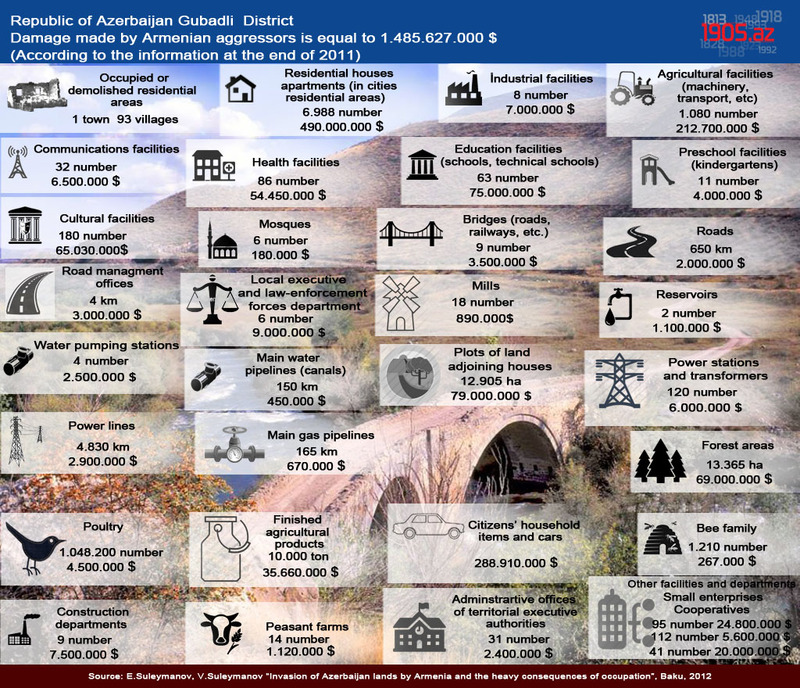 20% of Azerbaijan lands – Daghlig Garabagh and adjacent 7 regions were occupied; 600 thousand compatriots were deprived of permanent residence and became internal displaced persons, taking shelter in 62 towns and regions, and more than 1,600 living stations of the republic, in result of military aggression of Armenian armed forces against our country since 1988. 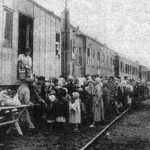 Besides, more than 100 thousand compatriots had to leave borderline permanent living stations of the Nakhichevan Autonomous Republic, Agdjabadi, Agdam, Agstafa, Fuzuli, tartar, Goranboy, Gadabay, Gazakh and Tovuz, bordering with the Armenian Republic and Daghlig Garabagh, in the view of safety. There are also 11 thousand persons, seeking for “refugee” status (shelter), in Azerbaijan. Majority of them is Russian citizens of Chechen origin, Afghans and persons from Iran, Irag, Palestine. Thus, there are about million refugees, internal displaced persons and people seeking to get “refugee” status (shelter) in Azerbaijan at present. 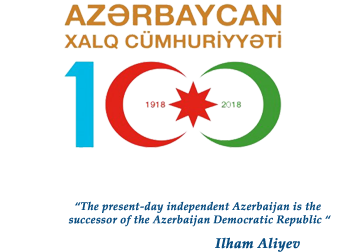 During 1988-1992s 20 thousand Azerbaijanis perished, 100 thousand people wounde, 50 thousand became disabled of different categories in result of Armenian aggression. During the conflict 4852 Azerbaijanis (including 54 children, 323 women and 410 elderly persons) missed, 1368 of them (including 169 children, 338 women and 286 elderly persons) were released from captivity, but 783 (including 18 children, 46 women and 69 elderly persons) are still kept in Armenia until now. According to the International Committee of Red Cross, 439 persons were captured. 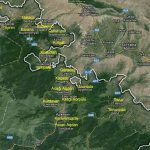 It is impossible to calculate damage, caused by Armenian aggression to Azerbaijan national culture in Daghlig Garabagh and adjacent regions. Destroyed material and spiritual wealth is not only unexampled culture patterns of Azerbaijan, but also whole world. According to primary data, more than USD 60 billion damage were caused to Azerbaijan economy along with psychological shock. A copy of the December 23, 1947 order of the USSR leader Joseph Stalin confirming the deportation of Azerbaijanis from their ancestral lands is circulated on social networks. 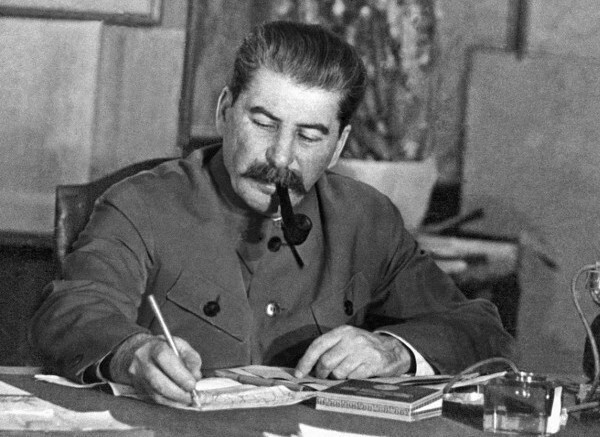 Axar.az news agency reports that Stalin ordered the deportation of 100,000 Azerbaijanis from Armenia to Azerbaijan in 1948-1950s and settling Armenians from abroad in their vacant houses. 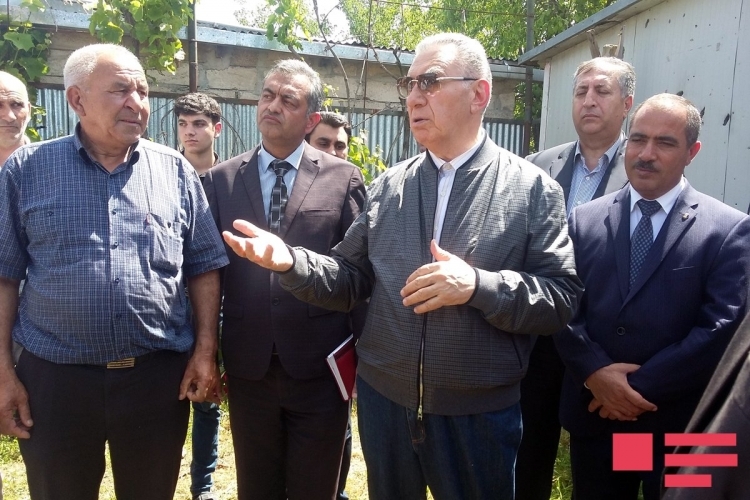 More than 450 houses owned by Azerbaijani internally displaced persons were damaged as a result of the shelling by Armenian armed forces in April, Azerbaijani Deputy Prime Minister, Chairman of State Committee on Refugees and IDPs Ali Hasanov said on Tuesday.